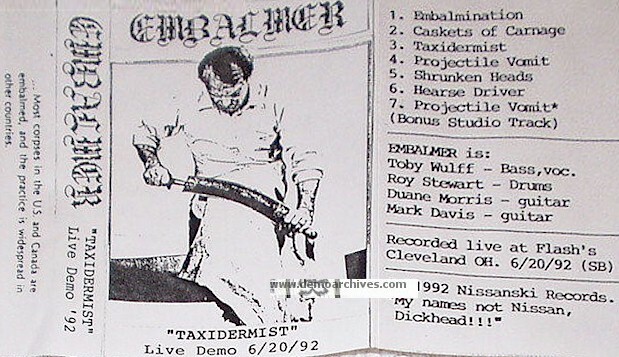 Embalmer is an American death metal band from Cleveland, Ohio. 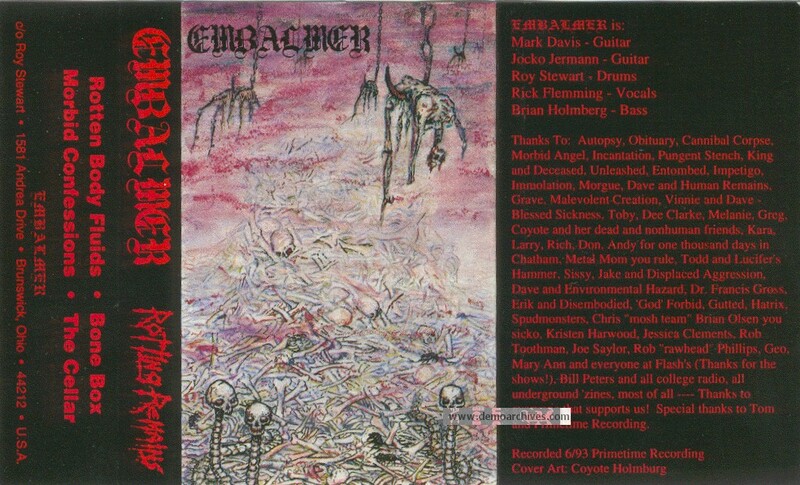 They were formed in 1989 by Toby Wulff (bass/vocals), Roy Stewart (drums), Mark Davis (guitar) and Duane Morris (guitar). 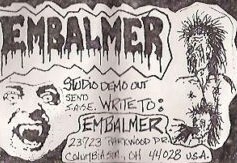 From 1991 to 1995 they released Into The Oven, Rotting Remains and There Was Blood Everywhere, with many lineup changes along the way. 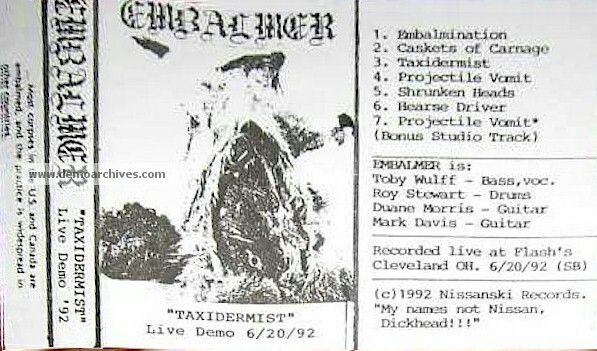 An unofficial release 'Taxidermist' was released in 1992 which was a Live Recording. 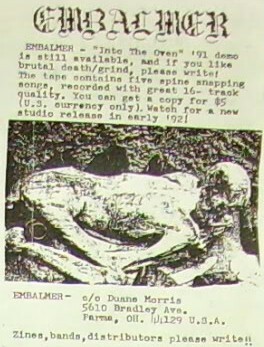 In 1997 they released the compilation album There Was Blood Everywhere, and later on in the year going on hiatus, which lasted eight years. 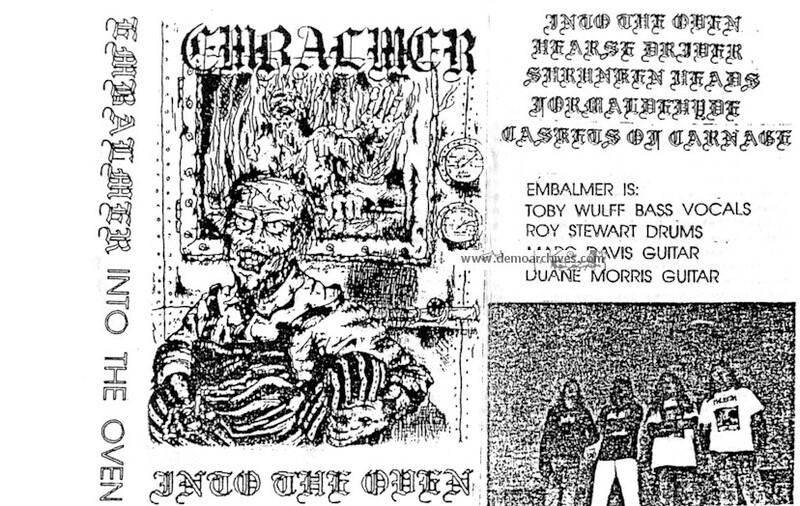 They came back in 2005, with the lineup of Rick Fleming (vocals), Jocko Jermann (guitar), Stewart, Davis, and newcomer Rob Lesniak (bass), and immediately started writing new material, finally after a year releasing their first full-length album, 13 Faces Of Death. 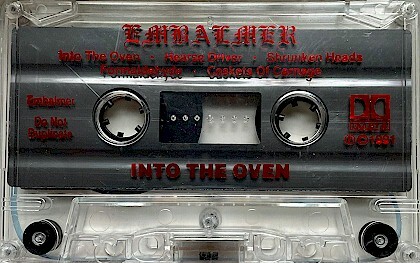 Xeroxed cover & regular tapes. First of two versions. 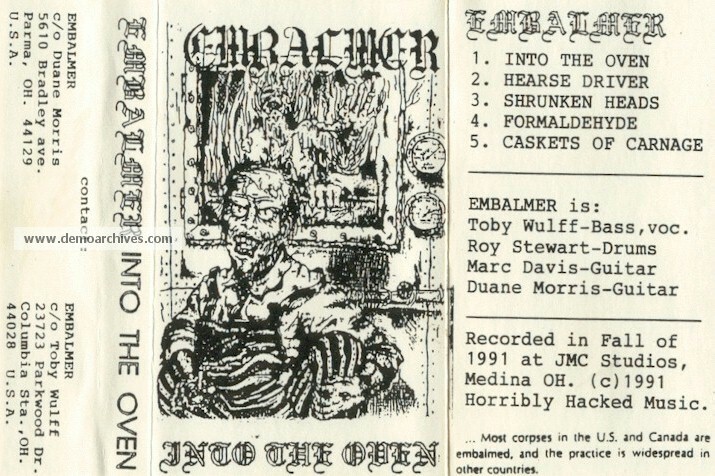 Xeroxed cover & regular tapes. Second of two versions. 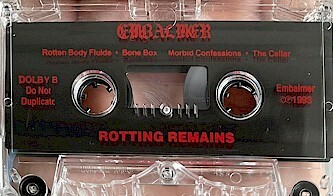 Pro-Printed cover & cassettes, no lyrics on back.